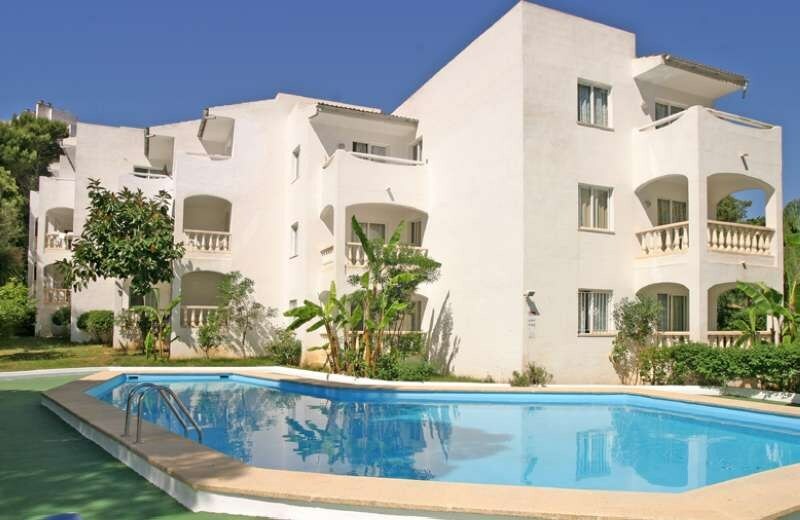 This apartment complex is centrally located in the northeast of the island, just across the coastal road from the beach (approximately 50 m). A large wooded area sprawling about 250 hectares surrounds the complex. Within 20 m are a number of restaurants; bars and links to the public transport network are to be found just 50 m away. The airport is 40 km from the complex whilst Menacor is just 5 km away.Renovated in 2000, the complex lies surrounded by a wonderful 50-m² garden. Comprising a 5-storey main building and 2-storey annexe building, a total of 20 apartments are on offer. Other features include a foyer, safe and lift. There is also a café, a garage, a bicycle cellar and a restaurant (highchairs for children). Room, laundry and medical services are on offerEach of the apartments comes with combined bedroom/ lounge area and en suite bathroom. There is also a fridge, a kitchenette, central heating, a hire safe and tiling.